During a keynote presentation Monday morning in San Francisco, Apple CEO Tim Cook took the stage to bring a whole host of new and shiny Apple stuff to a massive crowd of cheering fans/developers. Since this was a developer conference, the most important thing was, of course, the announcement of the next gen of iOS called iOS 7. But that wasn’t all. Also announced was an update to Mac OS X called Mavericks, Apple’s new streaming service called iTunes Radio and new hardware including revamped MacBook Air laptops as well as a completely reimagined Mac Pro. • New version of Mac OS X called Mavericks. That’s right, no more cat names. Now, cool surf spots in California instead. 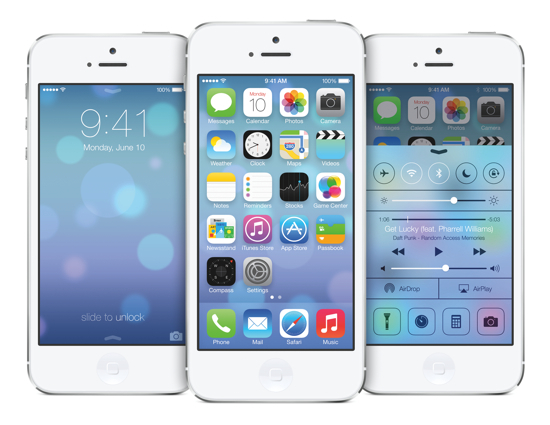 • New version of iOS called iOS 7. No cute nickname but lots of innovative features and a new, fancy UI design. • Completely reimagined Mac Pro desktop. For those who need to do some heavy lifting. It looks like a round version of the tower in 2001: A Space Odyssey. At a packed media event today Apple announced some new things that were met mostly with enthusiasm by the attending crowd. Among these new things was iOS 4.1 and 4.2, new iPods and a new version of the Apple TV. • High Dynamic Range photos: Takes three photos and combines them to form one better one. • Proximity sensor, Bluetooth and the iPhone 3G. • High-definition video upload over Wi-Fi. • Brings iPad up-to-date with iPhone 4 including folders, better multitasking, etc. The iOS 4.1 update will be available next week through iTunes. iOS 4.2 will come in November.